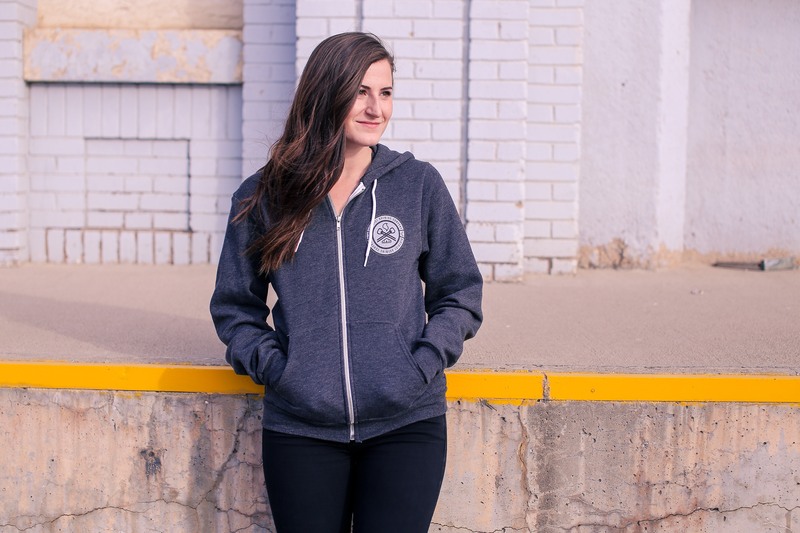 District Brewing Company's "Wheelie" logo screen printed in white on the chest of a unisex, dark heather grey American Apparel Flex Fleece Zip Hoodie. 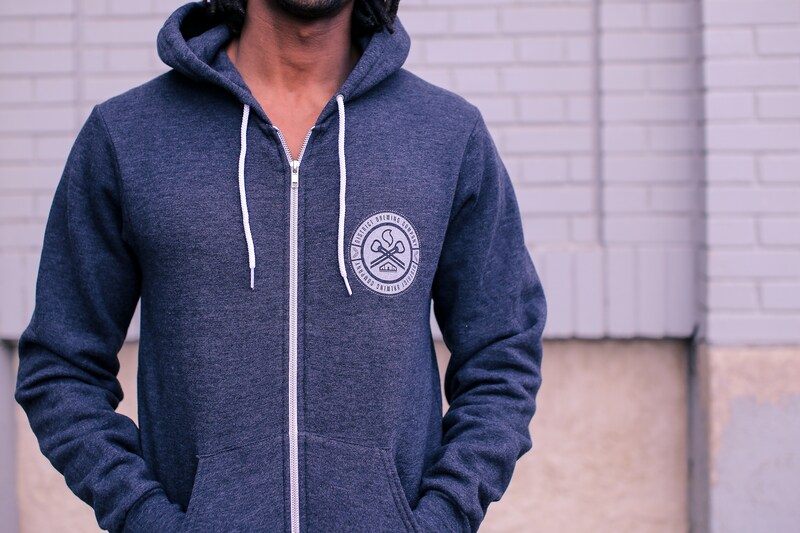 This classic zip-up style hoodie is ultra-soft with a heathered look. 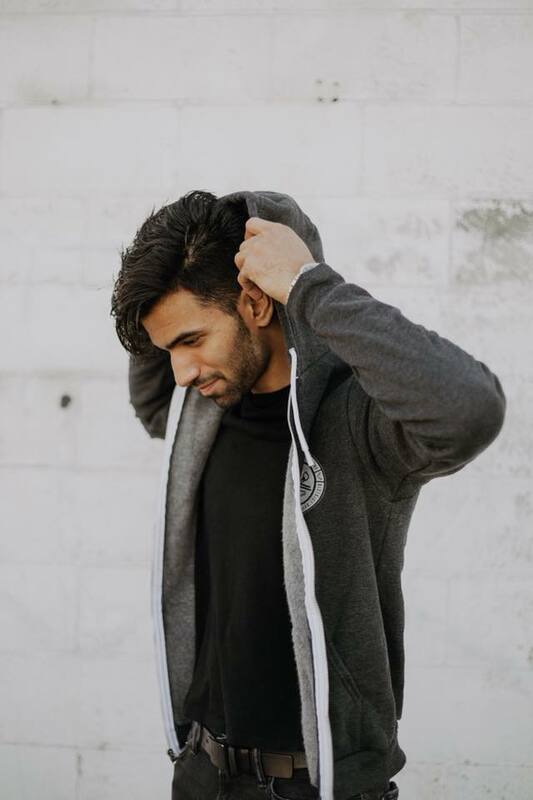 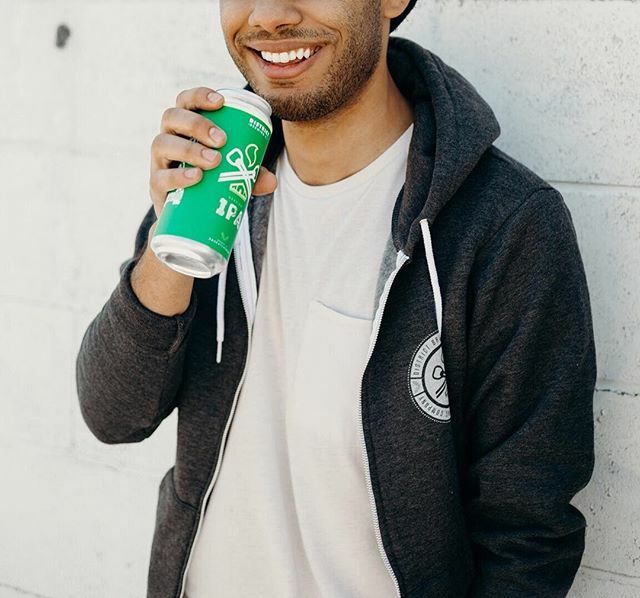 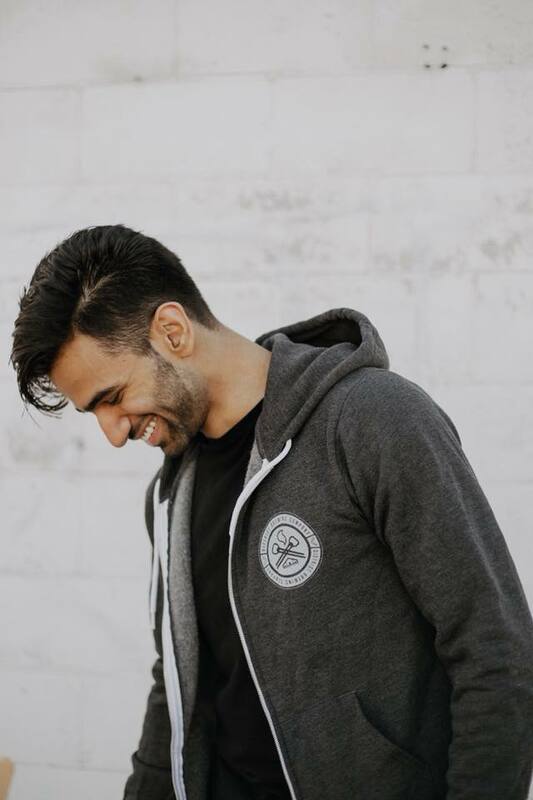 Whether lounging around the house, layering up for a hike or throwing on to keep warm, this zip-up sweatshirt is the piece you need to complete your closet.